Backed up septic and sewage pipes can cause a lot of very expensive damage and potential health issues if they are not cleaned up and treated quickly and properly. 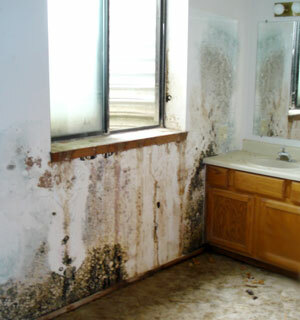 The disease-causing black mold, bacteria, fungi and viruses found in sewage water are among the most dangerous health hazards in your home — especially for people with respiratory problems and poor immune systems. Our All Jersey, certified technicians are ready to act quickly to clean up, treat and restore your effected areas before they become bigger, more costly problems. When we are done, we will leave you with a clean, dry and oder-free home that is free of potentially harmful contaminants. The main causes of septic and sewage backups are large, solid objects that create blockages in the pipes and leave the water no where to go — but up. Whether it’s food and debris sent down garbage disposals or disposable diapers and large volumes of toilet paper, there are many ways pipes can get clogged and cause issues. Other causes are related to structural defects that, over time, can eventually lead to major blockages in the sewer system and cause water to back up out of toilets, tubs and sinks. Defects in the structure of the plumbing can include anything from misaligned pipes to collapses or holes in the main sewer lines.